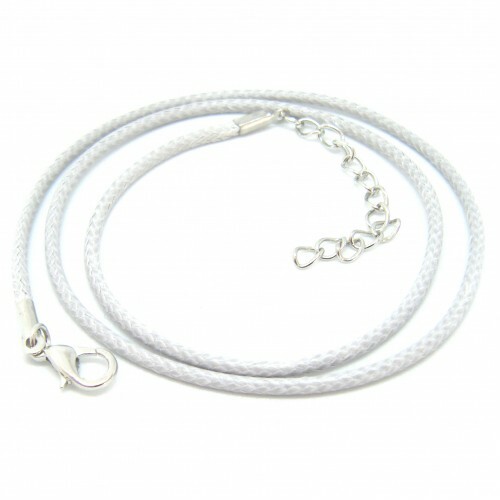 2.5 cm x 2 cm. 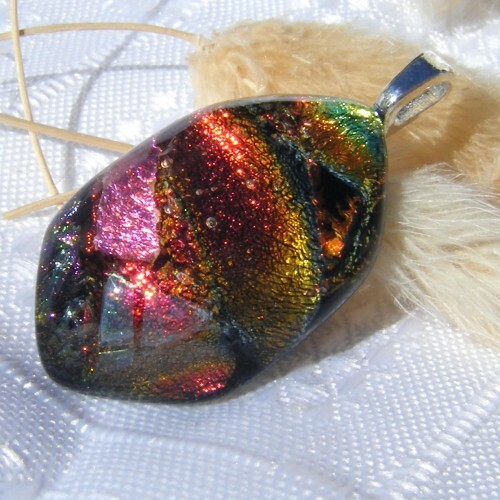 Gorgeous shades of red dichroic creating colourful beauty. 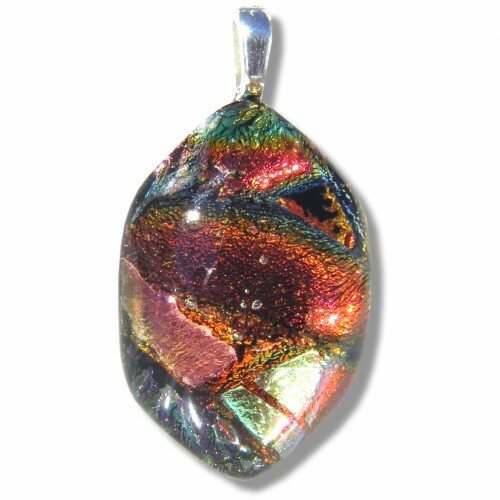 The perfect shape and the depth created by multiple layers both add special touches. 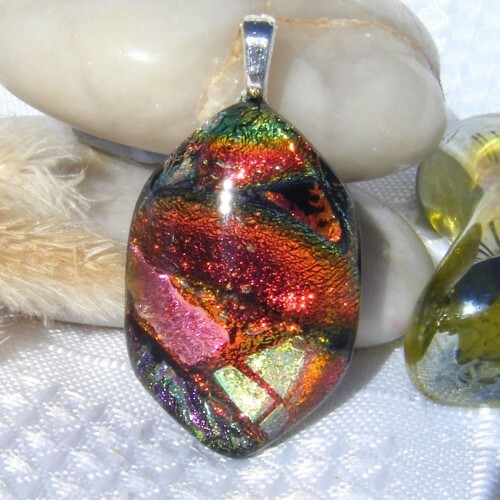 Dichroic glass adds shimmering bold color that really pops and is the perfect backdrop for the clear glass that appears to float above it. 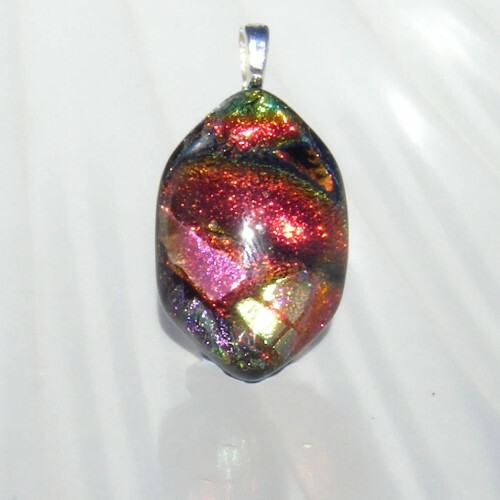 The creative process includes firing several layers of glass and the glass was cut into shape with a saw and the edges were then fine-tuned and beveled on a flat lap grinder. 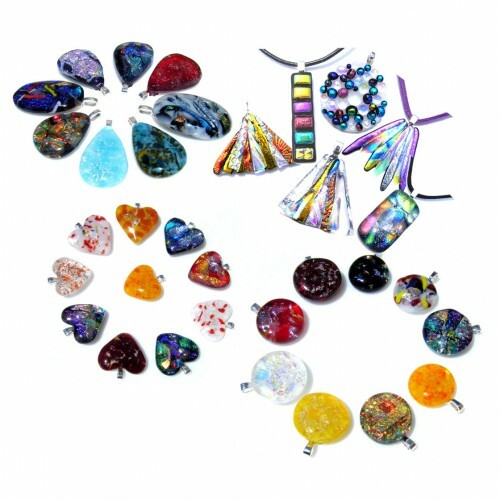 Fused glass jewelry has grown in popularity, so why not start your own collection or add to an existing one with this one-of-a-kind wearable work of art. 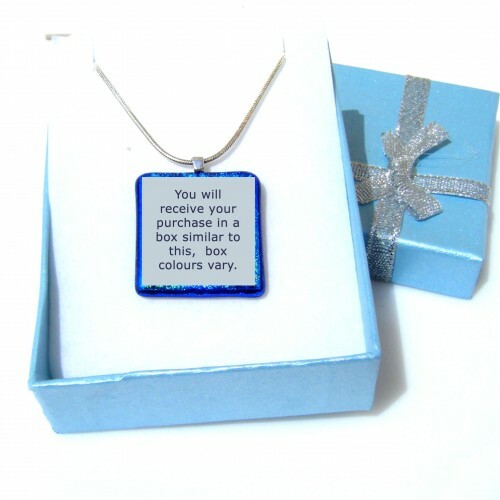 Complete with a leaf shaped silver plated bail and a silver coloured extendable cord necklace and pretty gift box.